You may have recorded a video and uploaded it to your Vaetas account and then decided that you also wanted to share it on YouTube to market your video. 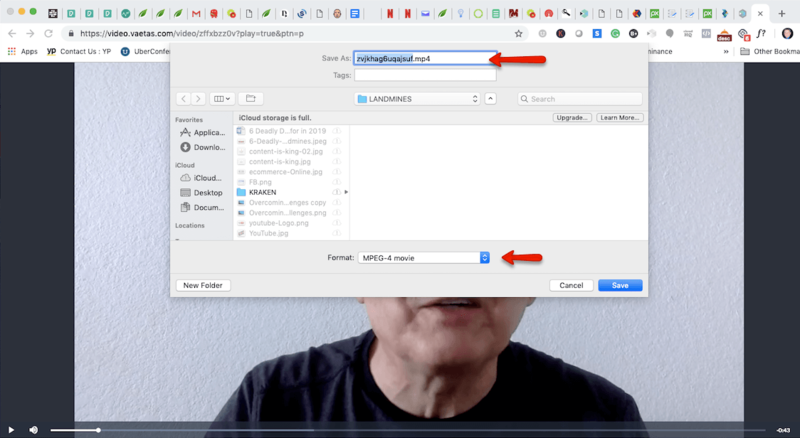 This is easy-to-do and the following are the steps for how to first download your Vaetas hosted video to your hard drive and then upload it to your YouTube channel. Following this procedure, your uploaded video to YouTube will automatically be added to your Vaetas Connect video library. 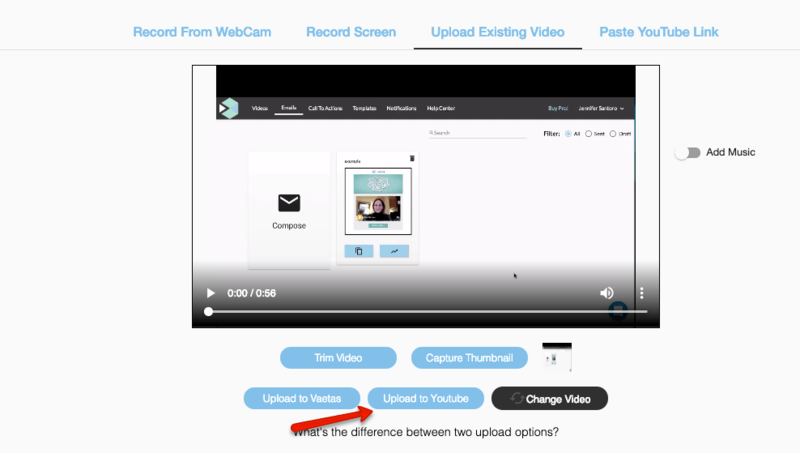 By uploading your video through your Vaetas Connect account, your YouTube video will also be automatically added to your Vaetas video library. You can then add a high converting call-to-action and market your YouTube video to your social media accounts or embed them on your website. NOTE: It is not technically possible to download a Vaetas Connect video with the call-to-action and then upload it to YouTube. The videos play within each company's priority technology platforms. Only your video can included in this process. 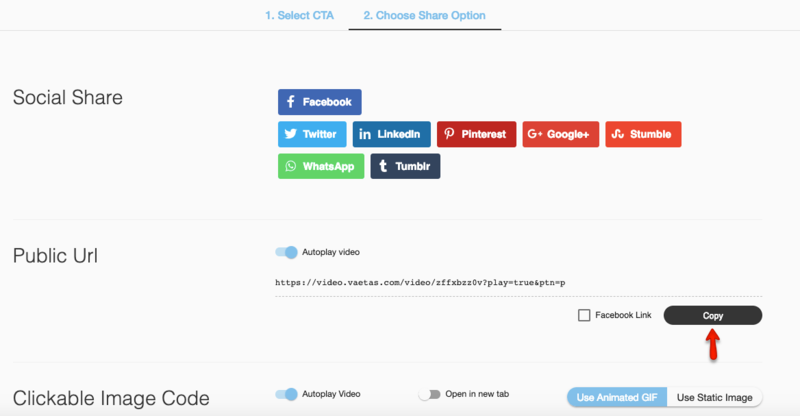 On the Vaetas Connect video Library screen, rollover the video you wish to download and click on the "Share" icon. You will automatically advance to the call-to-action screen. Click on the "None" button. You cannot download a Vaetas Connect call-to-action as its part of Vaetas' proprietary technology and not part of the actual video. Also, it would not work with YouTube's proprietary technology. When you click on "None," you will automatically be taken to the "Share" screen. NOTE: If you happen to click on any other call-to-action and advance... it's okay. The process will still work and you don't have to go back and click "None!" 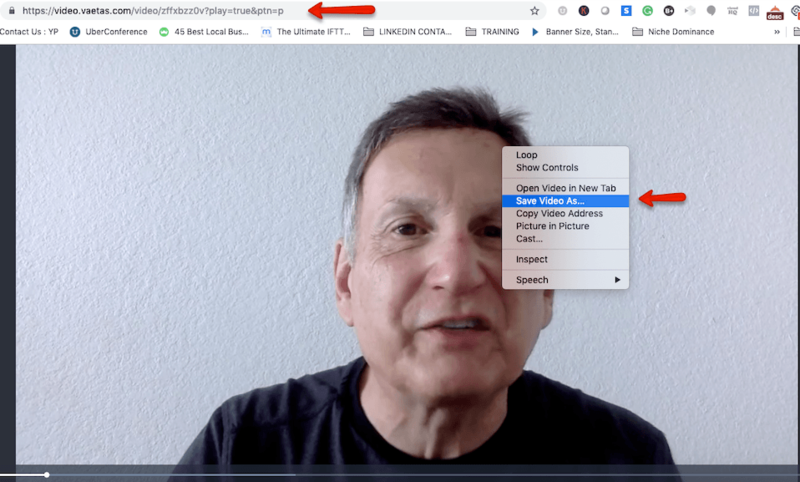 On the Share screen, click the copy button to copy your Vaetas Connect video's URL to the clipboard. Then paste the video link into a new browser window. The video will play full-screen. You can stop the video playback. Using your mouse, right click on the video to display the menu. Select "Save Video As...". Rename your video file to identify it, select the hard drive folder where you wish to save the video and click the "Save" button. Once your video is saved to your hard drive, go back to your Video Library and click on the "Add Video" button. On the top menu, click on blue "Upload Existing Video" link. 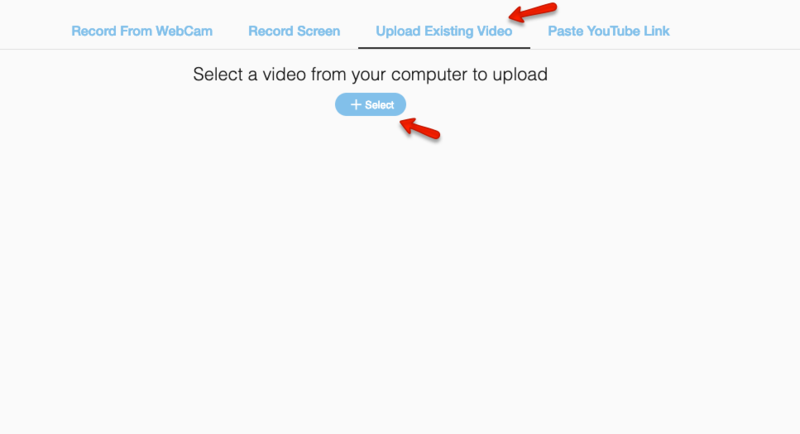 Then click on the blue "+Select" button to open the upload video dialog box. Click on your video to select it and click the "Open" button. The video will load into the Vaetas Connect screen. If you decide to upload a different video instead, click on the black "Change Video" button to repeat the upload process for the new video. When ready, click on the blue "Upload to YouTube" button. The YouTube upload dialog box appears. Ensure that your YouTube account is connected. Enter your Video's Title and Description tag information. For SEO purposes, it's advisable to fill out the optional description tag. Then select , "I want maximum views so make it public." Then click the blue, "Upload" button. You'll see the upload progress bar and receive confirmation that your video has been uploaded to YouTube. When you return to your Video Library, the YouTube video will be automatically imported and available to market to your social media accounts. It can also be embedded on your Website. 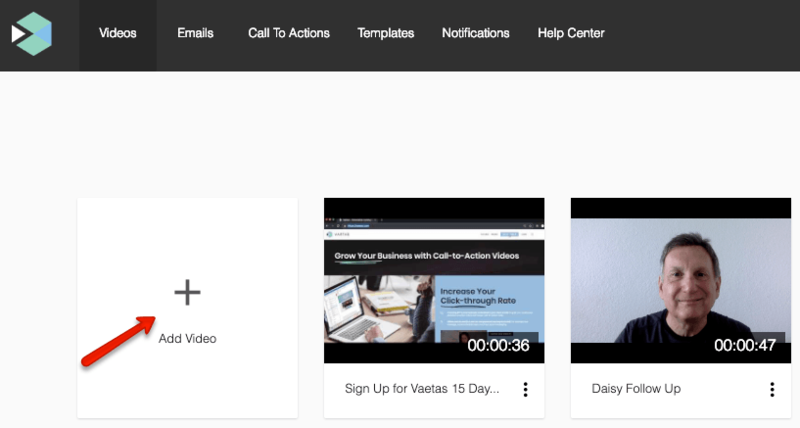 Although you can embed the YouTube video directly on your Website, by using Vaetas Connect, you can embed it with a call-to-action that can help increase your Website conversions.